The trend to make everything 3D had an adverse effect on movies, but it works really well elsewhere. Remember those wooden Labyrinth games where you twisted a couple of knobs to manoeuvre a metal ball through a 2D maze? 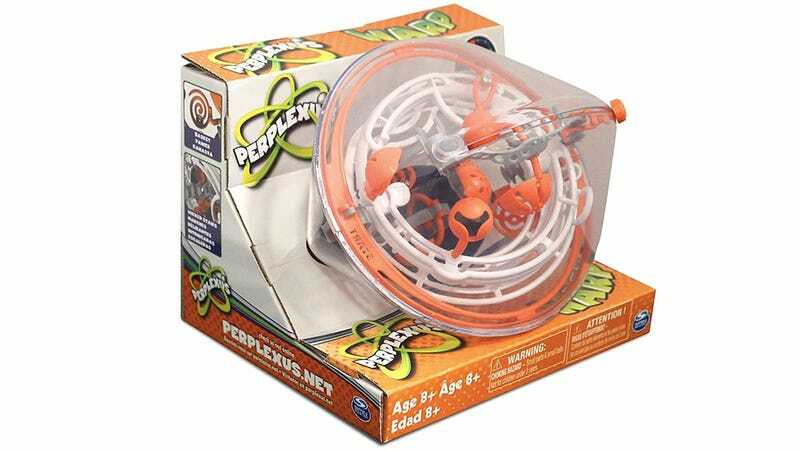 Well if you were to add a third dimension you'd end up with these Perplexus puzzles. And the latest version, the Warp, promises a whole other dimension of frustration, too. Your challenge is to move a small metal ball through a twisty roller coaster of plastic tracks, slides, and other obstacles by rotating, turning, and bumping the entire Perplexus puzzle. And the new Warp version adds a slider that has you manually repositioning the ball from the outside, while trying to keep the whole thing steady.